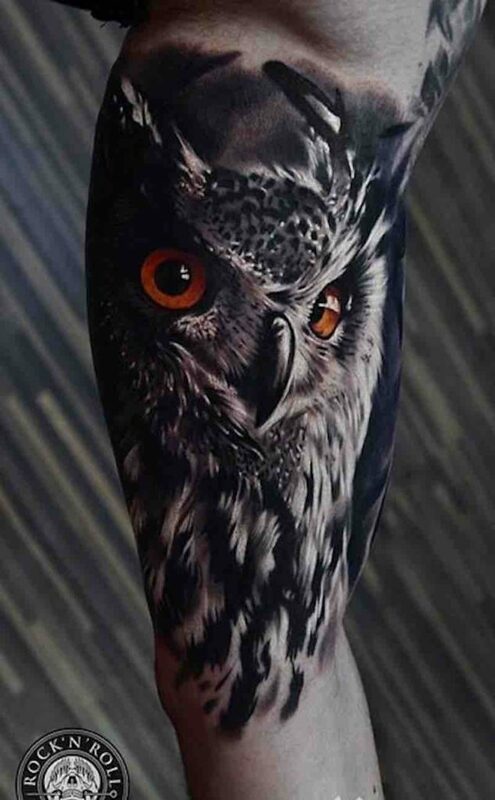 Owl tattoos can be designed in countless ways, they are a very distinct looking bird so they can be done with minimal design and still be easily recognisable, a popular owl tattoo is of just the eyes, even without any other design added its still clearly the eyes of an owl. 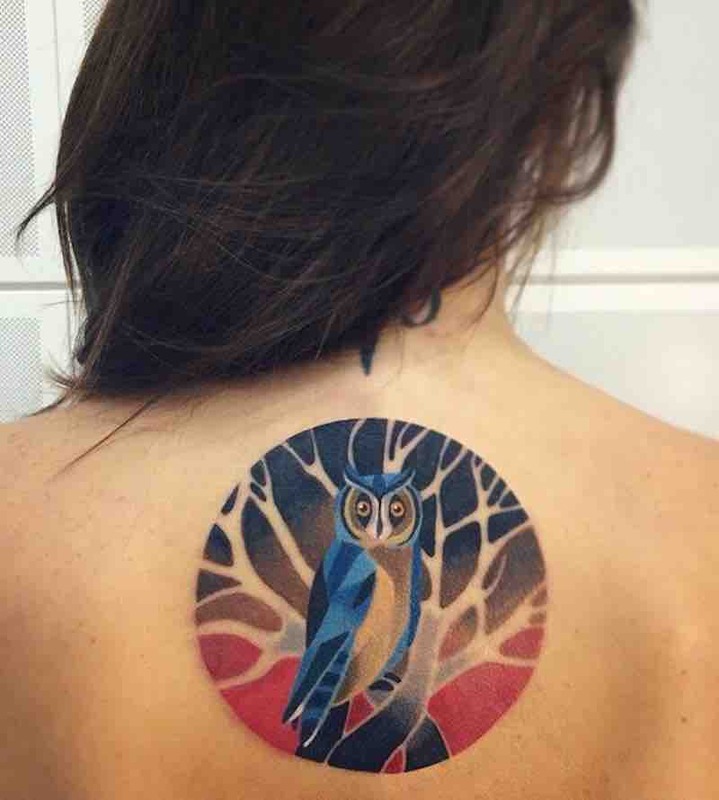 Owl tattoos can represent wisdom or the desire to gain wisdom. 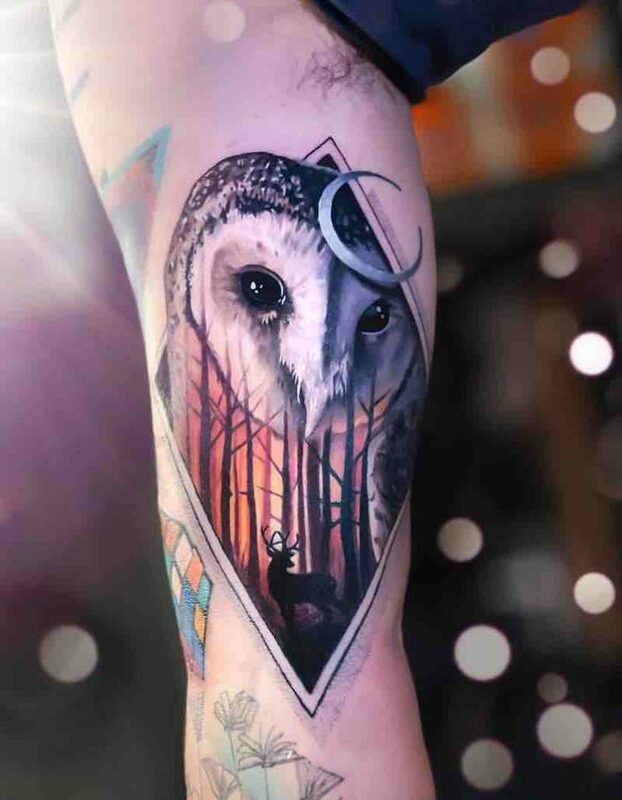 They can also represent knowledge, linking back to Native American culture where owls are considered to be the guardians of knowledge. 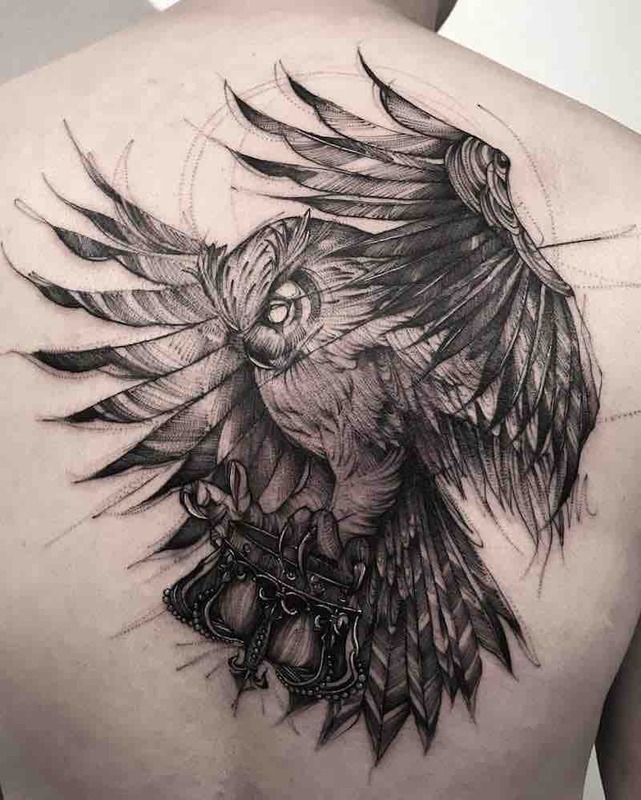 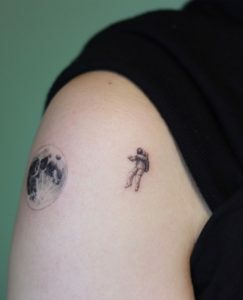 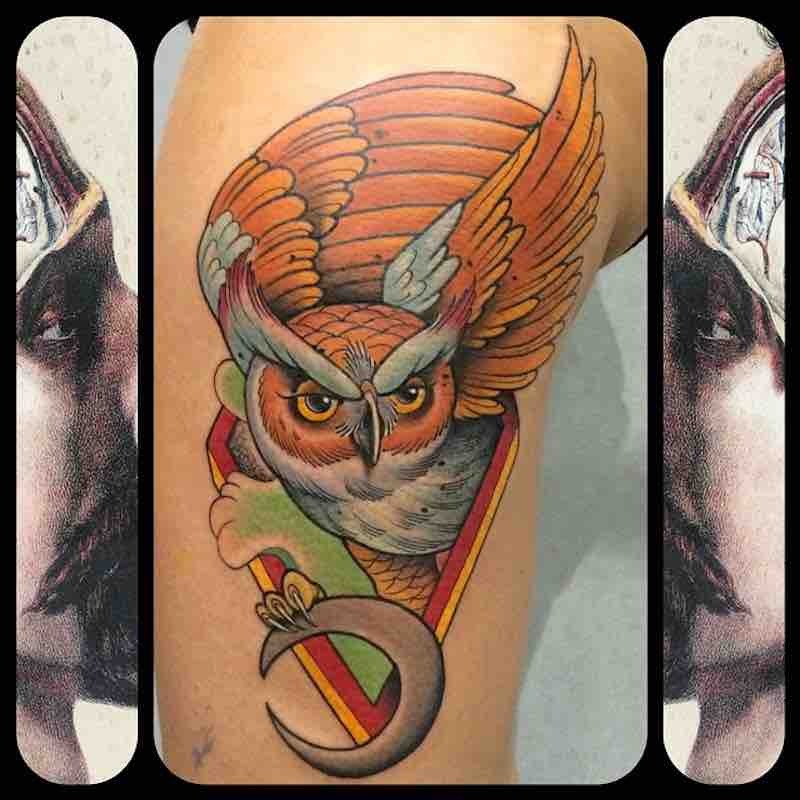 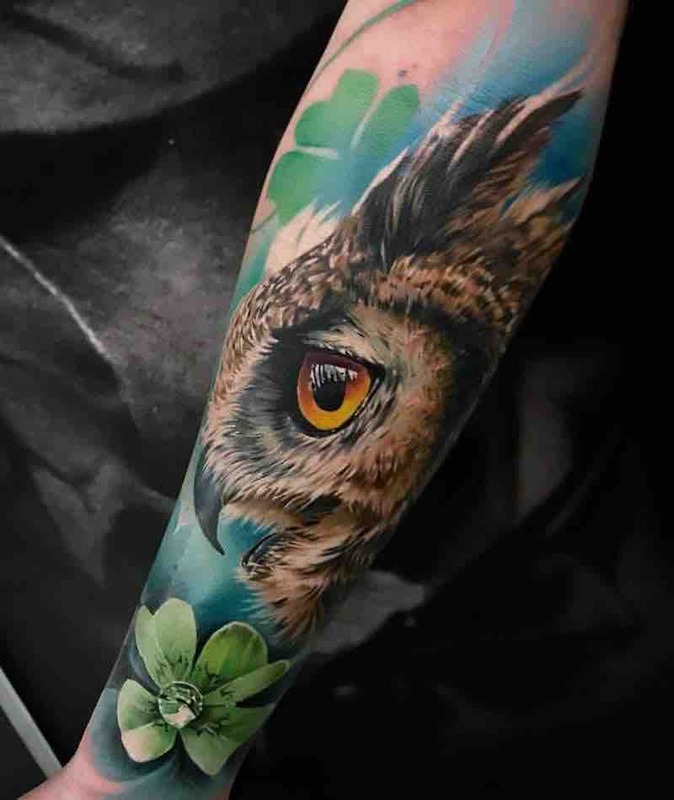 An owl tattoo can also represent freedom; this is especially likely if the owl tattoo is designed with outstretched wings, about to take off or already in flight. 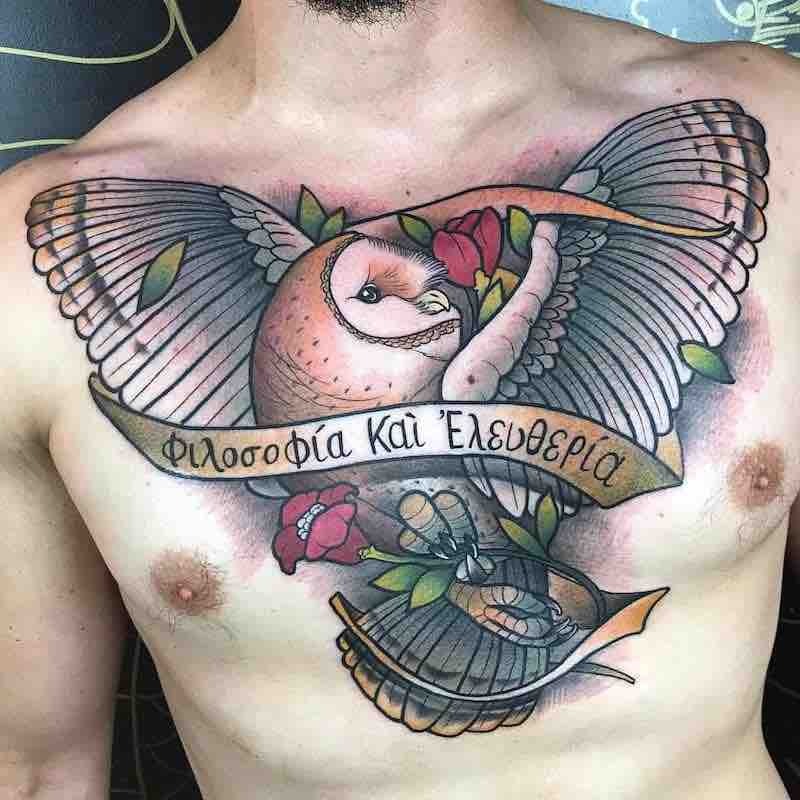 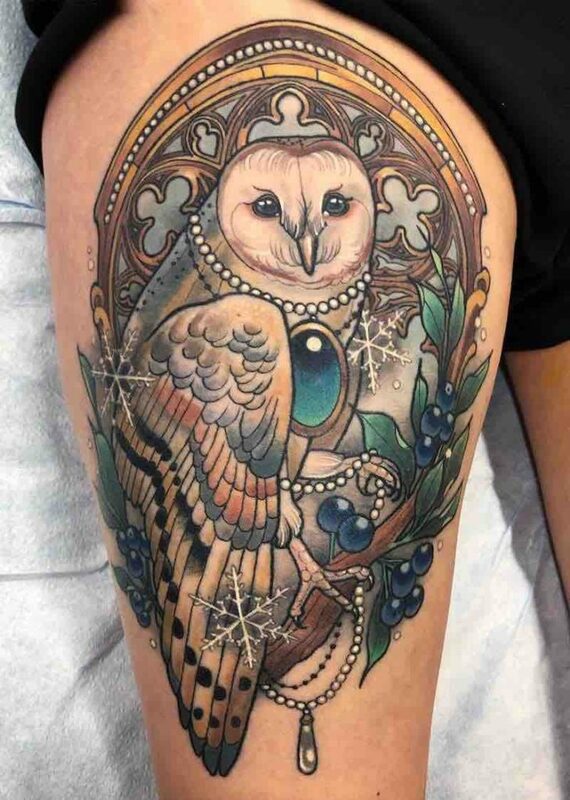 Because owls are a sub-group of birds, owl and bird tattoos often share similar meanings such as freedom, transition, and mindfulness. 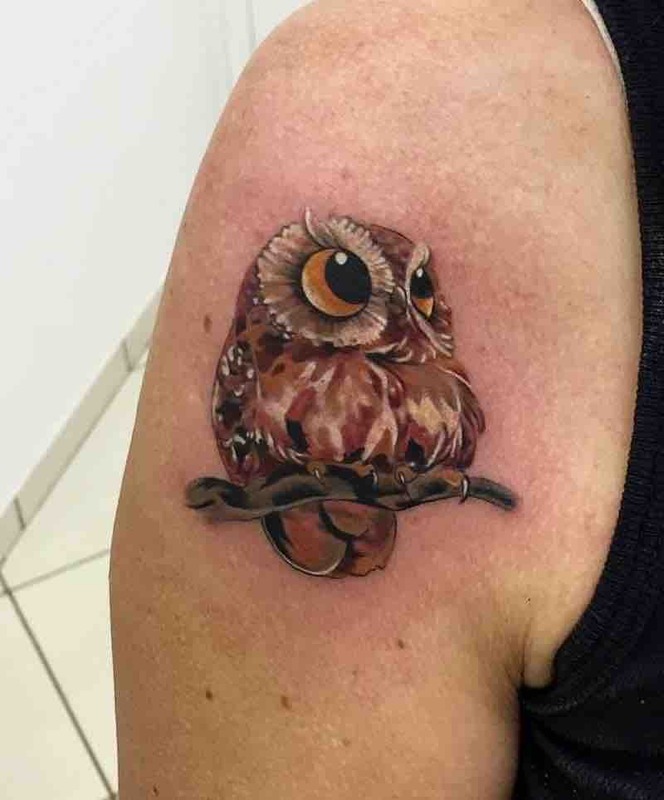 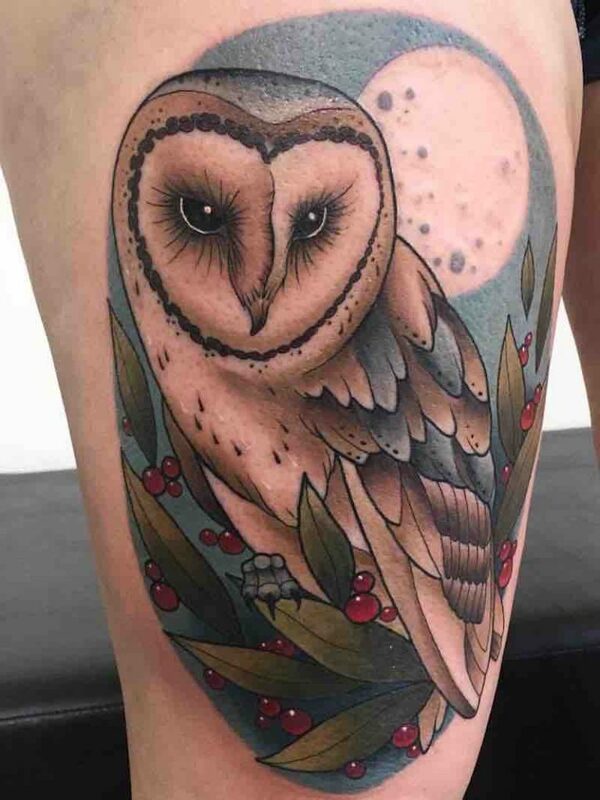 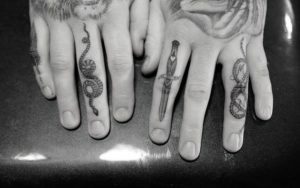 If you are a magic fan, then an owl tattoo may be perfect for you as owls have been linked to all things mystical and magical throughout history. 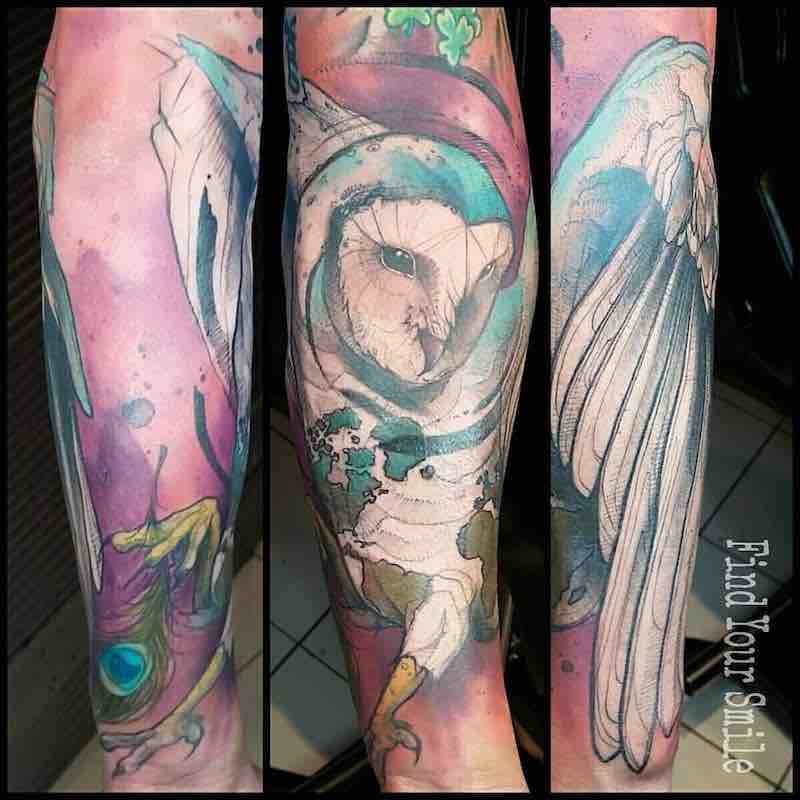 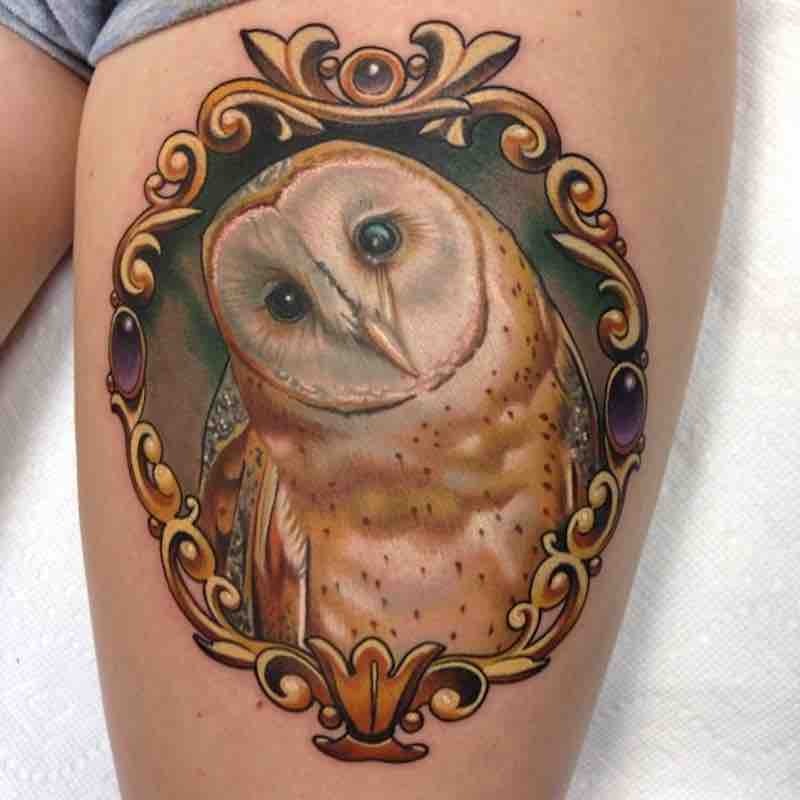 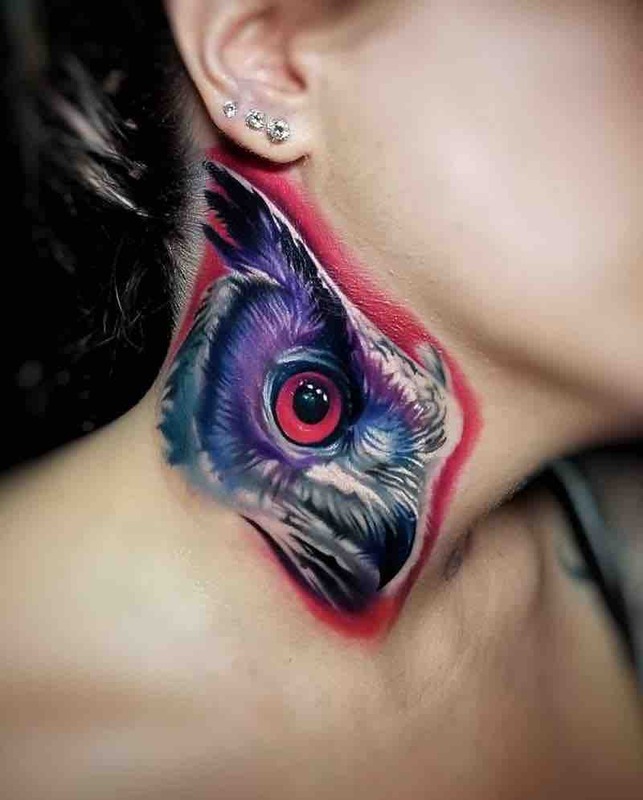 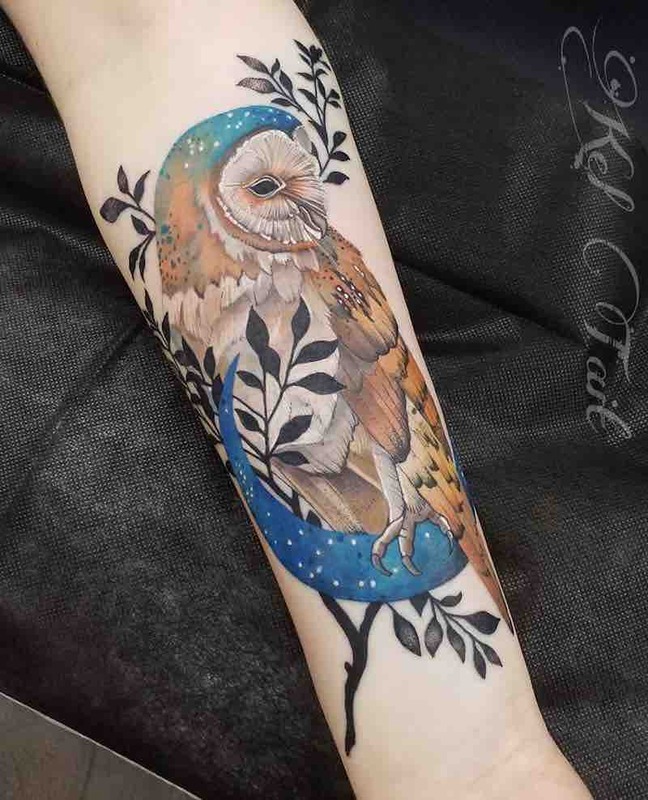 An owl tattoo could be just want you need to add a little spark of magic into your life. 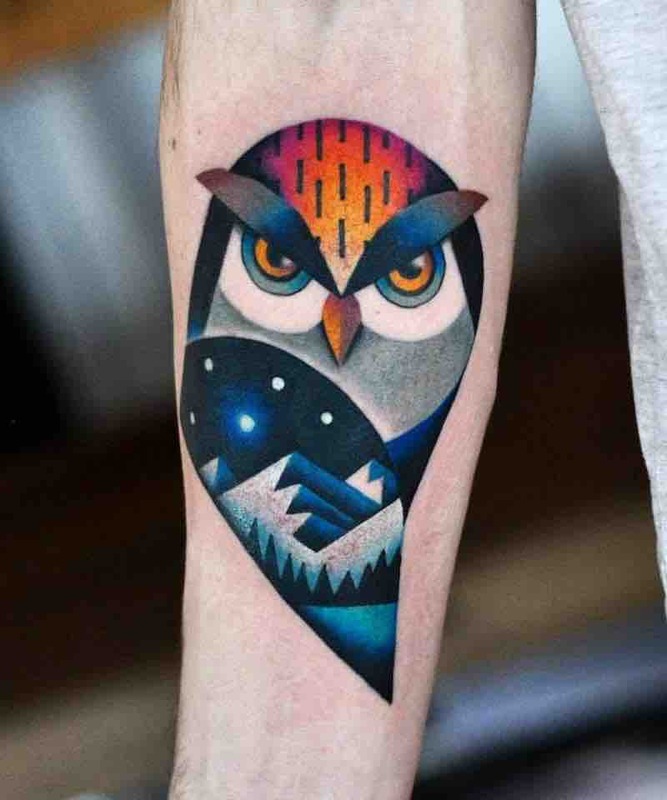 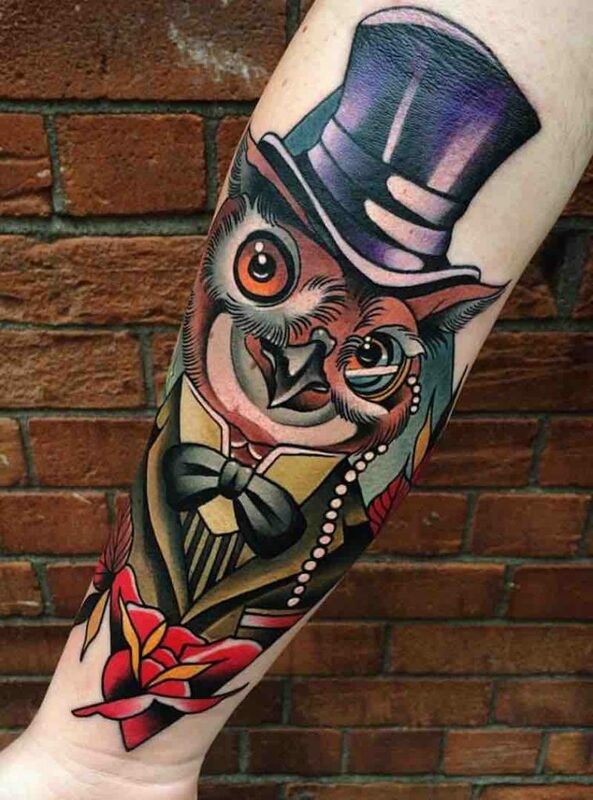 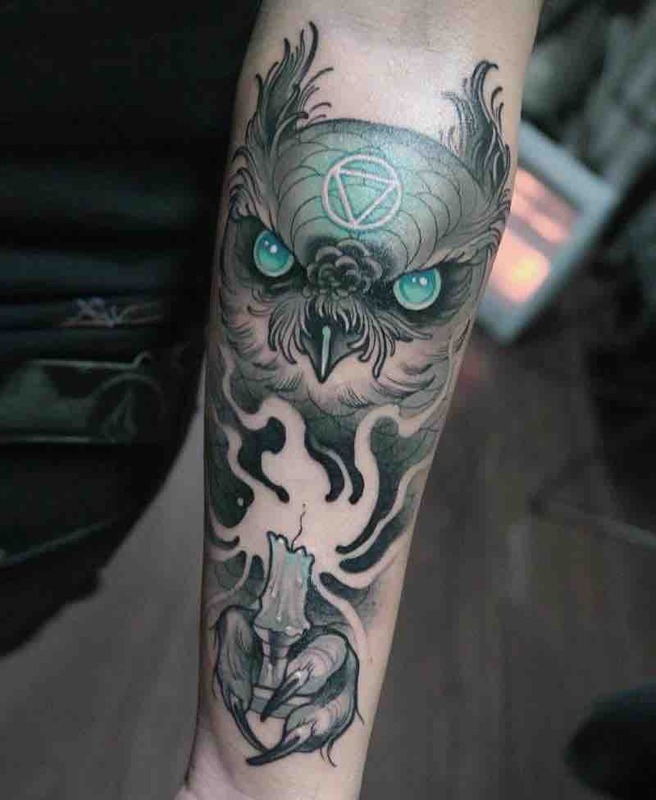 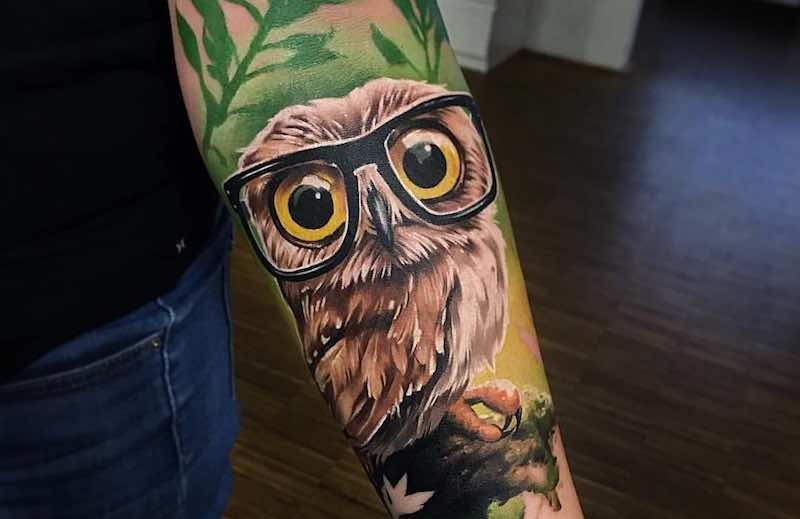 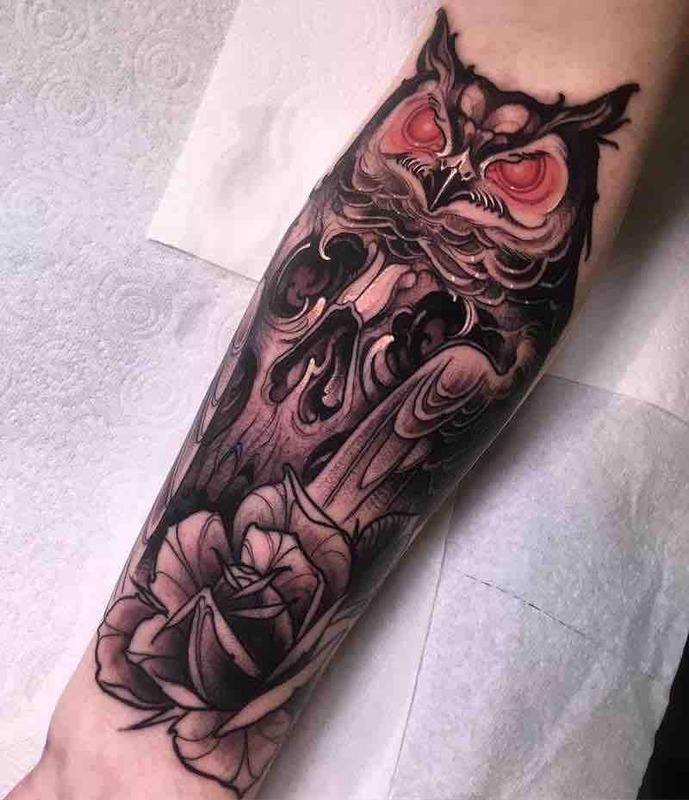 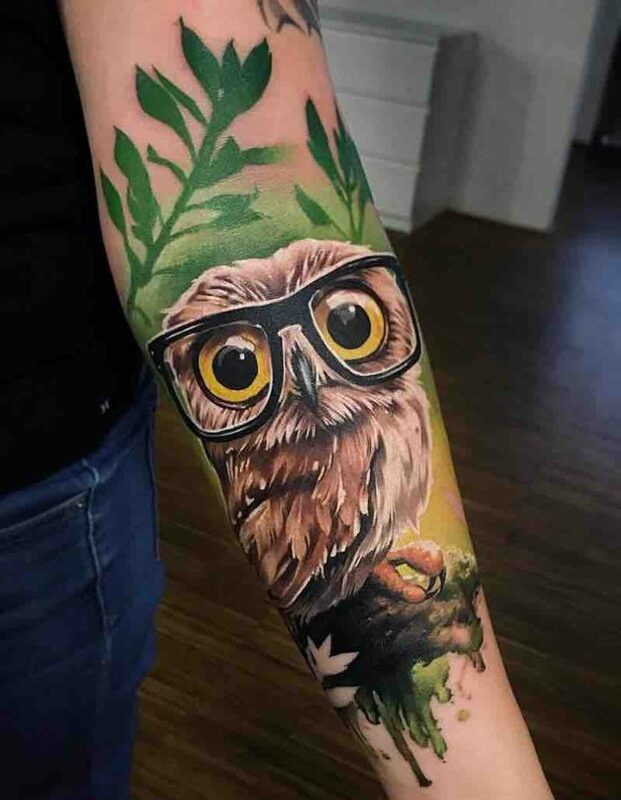 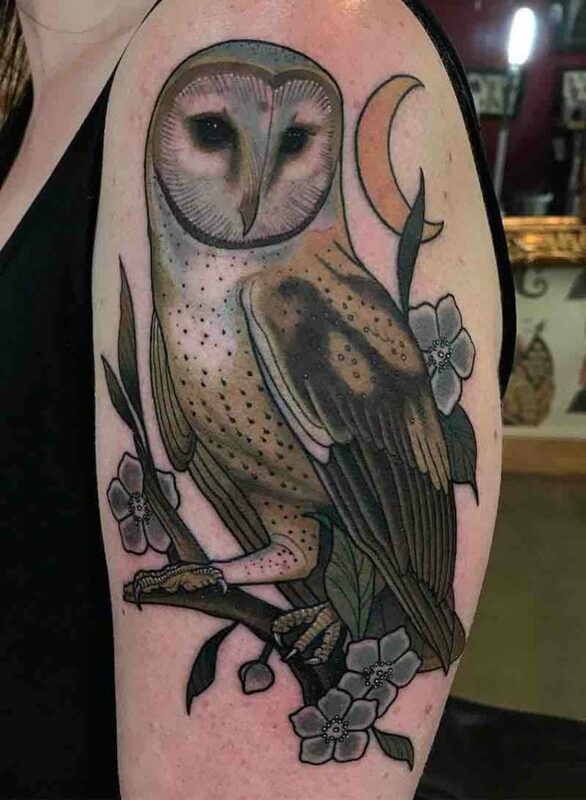 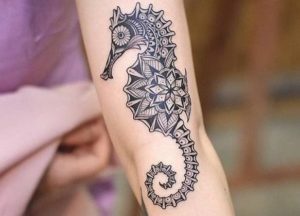 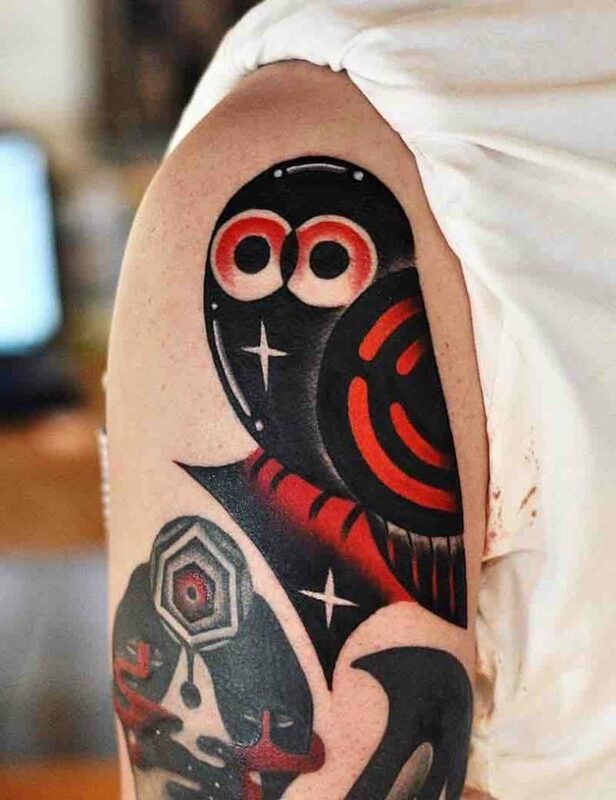 Alternatively, pair your owl tattoo with clock or watch designs to represent your awareness of the passing of time and the subsequent knowledge and wisdom gained through your individual life experience.